Sign up to be a Knight! One of our Members has been sick and in need of blood. We ask you our members to use this link below and give the gift of life. It may save our brother Knight or someone equally in need. Our Council includes both St Edwards Parish and St Denis Parish. We rotate meeting in each parish hall every other month. Members of this council are welcome at both locations. 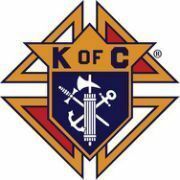 Member Knights perform duties that include helping with raising funds for the parishes and other good causes, helping to man events, assist with physical tasks like work projects and many other ways in which we help our community. There are things we can do to help no matter your age or health. True Knighthood is not feats of strength, but our ability to help and server others in need. Help for those in need.